Morinosuke Kawaguchi is an award-winning author whose books have been translated into four languages and they influence thinking and practice not only in Japan but in other countries as well. 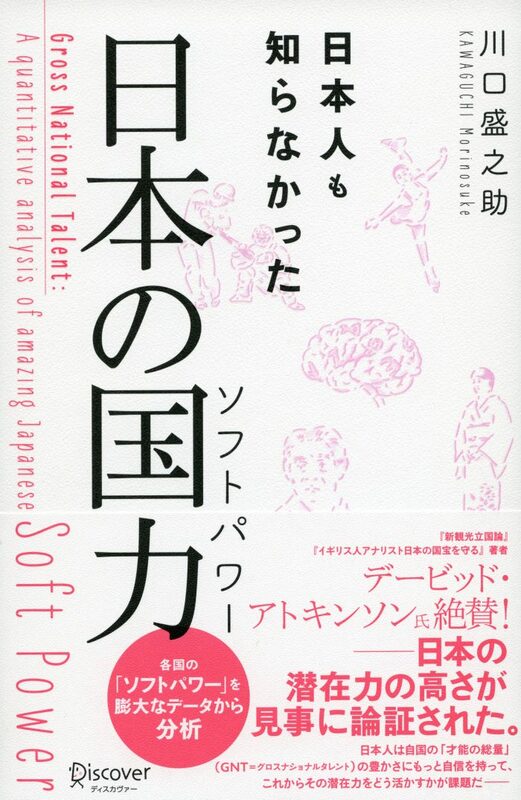 In June 2016, Morinosuke’s concept of Gross National Talent and its Gross National Talent was introduced in his book 日本人も知らなかった日本の国力ソフトパワー Gross National Talent: Quantitative Analysis of Amazing Japanese Soft Power, published by Discover 21. 1. 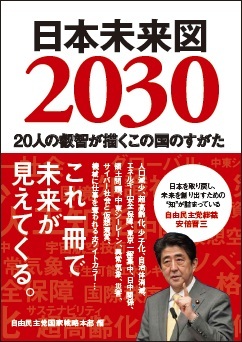 Morinosuke Kawaguchi’s book on the future, MEGATRENDS 2015-2024 is a mega-updated version of his 2013 masterpiece, MEGATRENDS 2014-2023, which was benchmarked by the Japanese government’s National Strategy Headquarters. 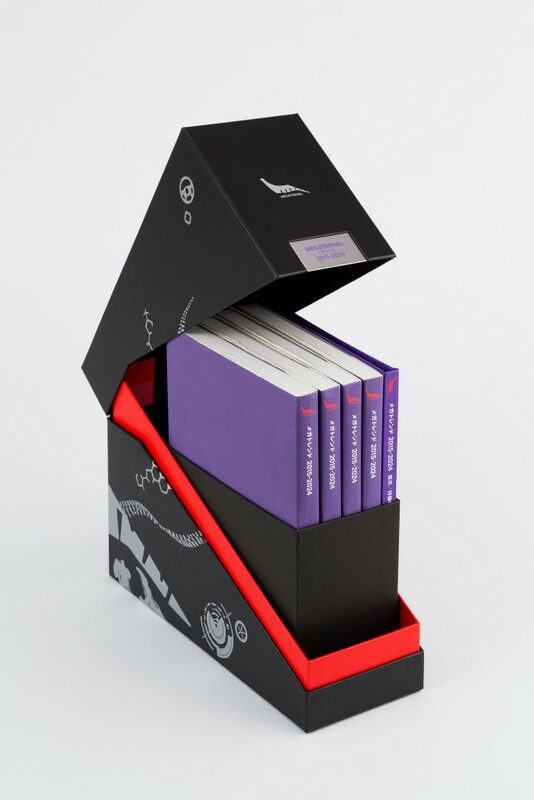 This set of four books, totaling 718 pages and weighing 5.8 kilograms, was written by Morinosuke Kawaguchi alone! It retails for 450,000 yen or about 4000 US dollars plus tax. If you’d like to order a copy, please contact us. As of 2018, MEGATRENDS has been updated twice and the third update will be published in 2019. If you’d like to order it, please contact us. Thank you! This box contains two books, one written by Morinosuke and another by investor and alpha blogger Yamamoto Ichiro. 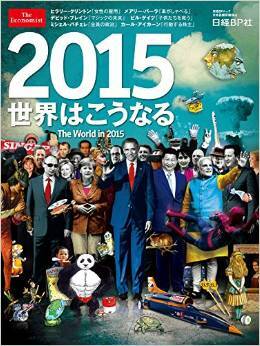 Kawaguchi’s first book in the MEAGTRENDS series, titled メガトレンド 2014-2023 ( MEGATRENDS 2014-2023) , was published by Nikkei BP at the end of 2013. This groundbreaking book of future forecasting has been adopted by the Japanese government and by some of the world’s biggest multinational corporations as the base for their future strategy. 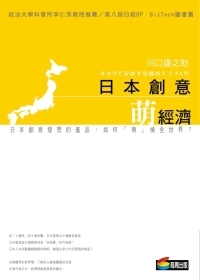 Thanks to this book, during 2014 Morinosuke has been engaged in the Japanese government’s science and technology policy-planning process while working with The National Institute of Science and Technology Policy (NISTEP), a national research institution under the direct jurisdiction of the Ministry of Education, Culture, Sports, Science and Technology (MEXT). 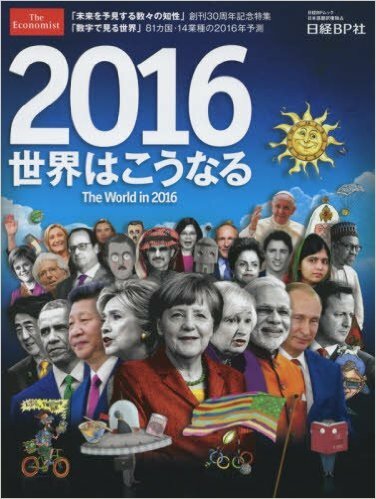 That same year he has been invited by the ruling Liberal Democratic Party’s National Strategy Headquarters for his ideas on creating jobs and gaining foreign currency, two issues that are crucial for the Japanese government’s 2030 future strategy. 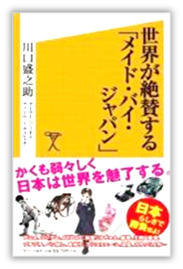 Morinosuke Kawaguchi’s second book, “Sekai ga zessan suru “Made BY Japan”” was published in Japan by Softbank Creative in 2010. As Japan’s manufacturing sector is struggling, the question becomes how to regain profitability in a competitive world where younger economies are catching up in terms of sophistication and manufacturing quality. In his second book “Sekai ga zessan suru [Made by Japan]” (The World Acclaimed [Made by Japan]), Morinosuke Kawaguchi points out ways how Japan can advance from the “Made in Japan” way of manufacturing that built its economy to a “Made BY Japan” approach to escape from the red ocean in manufacturing. As other advanced economies are already facing similar problems, this book can be a useful guidebook for them on how to deal with such challenges. Kawaguchi’s advice is to watch Japan closely as it is the economy with the fastest spiral into an aging, luxuriously weak society with all the resulting demands for new products and functionalities. His referrals to Japanese subculture make it easy to understand how culture and innovation are linked, and the methodologies he applies are a guide to everyone on how to leverage their own cultural uniqueness in technology and innovation. 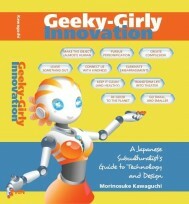 Morinosuke Kawaguchi’s seminal book: “Otaku de onnano ko na kuni no monozukuri” (English title: Geeky-Girly Innovation: A Japanese Subculturist’s Guide to Technology & Design) was the first book he has written and it was published by Kodansha BIZ in 2007. 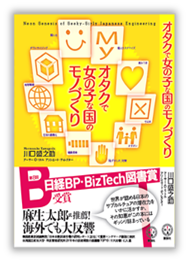 It was awarded the prestigious Nikkei BP BizTech Book Award 2008 in Japan, given to books that contribute to the advancement and development of technology and management. It was translated into Korean and Chinese in 2009. In Taiwan, it was listed as number one among the top ten “Great Technology Management Books 2010”. That same year Taiwan’s Small and Medium Enterprise Administration, Ministry of Economic Affairs and South Korea’s KITECH, the Korea Institute if Industrial Technology, studied the book to be applied in their countries’ technology and innovation strategies. 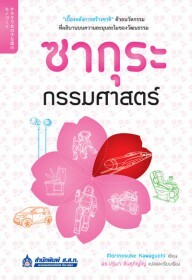 The Thai translation was published in 2011 and the English version in 2012. Analyzing everything from super-toilets to cute character stationery goods, from Kabuki to manga and anime, from bikes to robots, this visionary book by leading Japanese innovation strategist Morinosuke Kawaguchi supplies a road map for the future of international technology and design. The Japanese have leveraged the childlike, feminine, cute aspects of their otaku (geek) culture into top-tier products for world markets. What does this mean for the human/object interface? How can we personalize and pleasurize design? According to Kawaguchi, the answers lie in our entertainments, innocence, and obsessions. 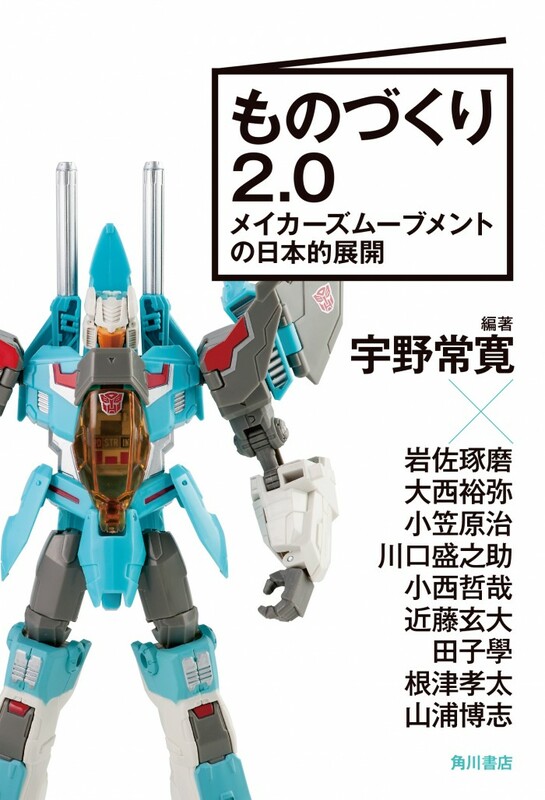 More blurbs for the English translation can be found here. Morinosuke Kawaguchi’s articles are published by several Japanese business magazines and websites, with some of them reaching more than 100,000 page views per day. Some of these articles were summarized in English and are available in the Innovation Treasure Box section.